The final bucket of concrete is now in place on Maine Tower, the centrepiece of the Harbour Central development for Galliard Homes. We have been working on the project since its inception and are very proud to see this major milestone reached. The frame subcontractor Modebest managed to shave an impressive nine weeks off the programme. They completed the basement substructure and superstructure in 97 weeks. 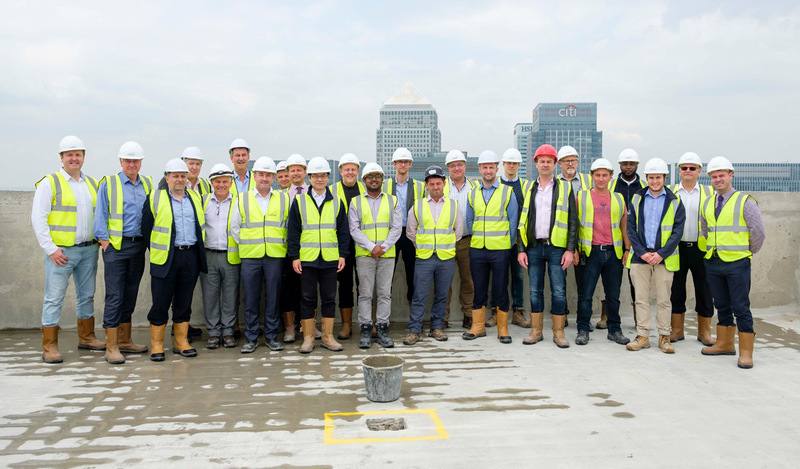 A total of 50,000 cubic metres of concrete was poured and Modebest also achieved the largest continuous concrete pour in the London area to date, with 2,000 cubic metres poured in 14 hours to form the foundations. Work will continue on site for a completion date in early 2020. For further information see our project page.